Today, Sony a9 firmware 5 dropped and it contains 34 feature updates including Real Time Tracking and Full-time Eye AF. 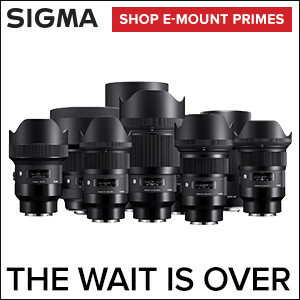 Sony refers to Firmware 5 as ‘Sony a9 Reborn.” I compared it to how Tesla unlocks features and wrote this post to share what’s new in Sony a9 Firmware 5, the biggest technological jump in Sony mirrorless cameras since they launched over 8 years ago. It’s a lot to cover. I shot with an early pre-release version of firmware in San Diego and attended a media briefing about it last week. Additionally, over at Imaging Resource, they just published an interview with Kenji Tanaka, he’s responsible for the update. On the top of a high speed platform, we can create AI, but if the platform is slow, the moving subject will be gone! But our platform has a very high speed. That is our special talent or unique technology. Then, on top of this high-speed platform, we have an AI engine. Sony’s flagship a9 ($3998 on Amazon) is a high-speed platform that now runs an AI engine. The a9 fits my style of shooting and I bought one for this update. The most noticeable of the updates are Lock-on AF has been replaced by Real Time Tracking. Sony a9 already had the Best AF system and Real Time Tracking is next level. The AI engine supports it by detecting subjects and locking onto them. I’ll put it this way, If Sony made cars, their fleet would be self-driving by now. Real Time Tracking processing and analyzes these five factors continuously to provide the most accurate Continuous AF. To give the a9 firmware update some historical context, the last technological jump this big was when the Nikon F3AF brought autofocus to market 36 years ago in 1983. Here’s the best part…the firmware is a free upgrade available from Sony’s support page today. Before updating, read this guide from Brian Smith. Once you enable Face/Eye Detection in the menu, Eye AF is on whenever AF is active. This includes half-press of shutter button or full-press of Back-Button AF. Previously, you had to activate Eye AF with a press of the center button. 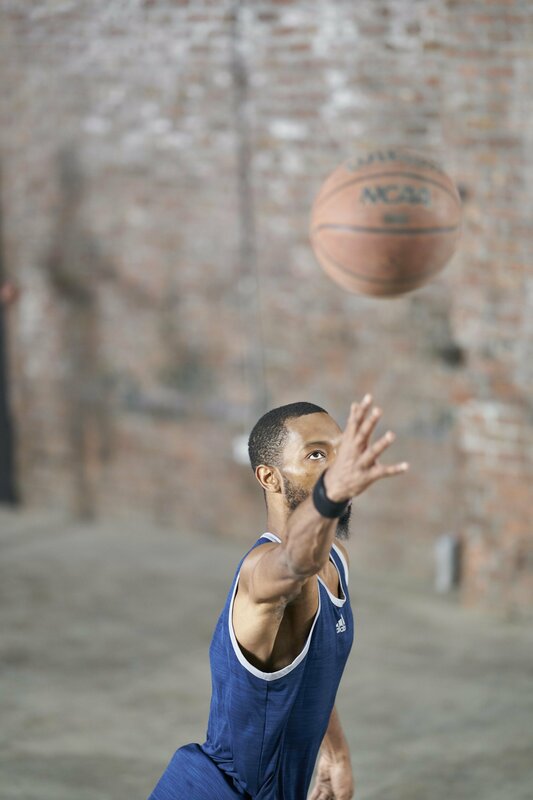 Sony a9 locked on this basketball player’s eye. The camera will auto-select the nearest eye. You also have to option to select the right or left eye. Focus Hold on which eye. 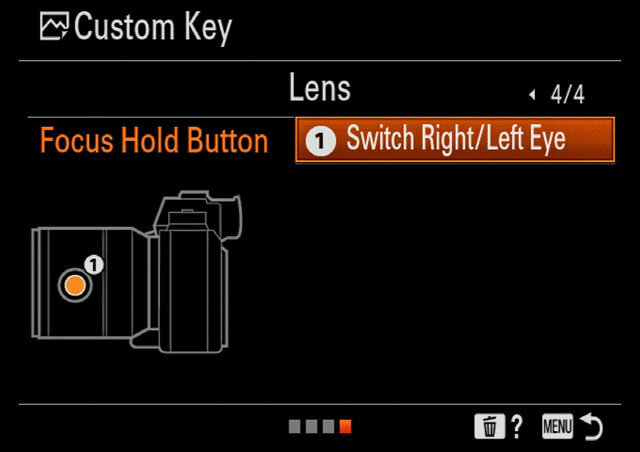 A visual display now shows you what each Custom Button is assigned to. 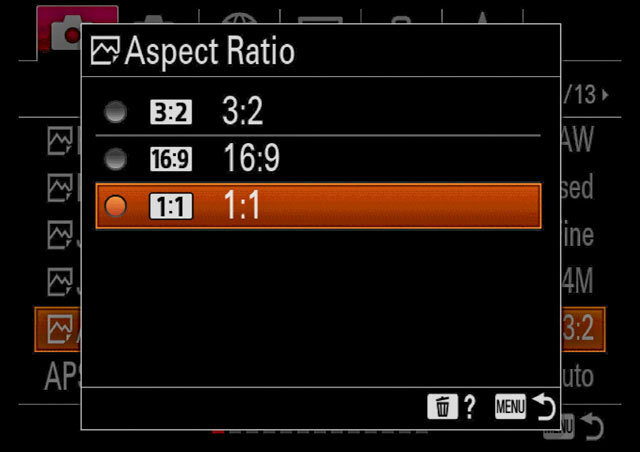 Before this update, the only Sony camera with a 1:1 aspect ratio is the RX1R II. It’s now a choice with 3:2 and 16:9. This topic deserves its own post and I’ll follow up once I’ve tried it out. The new Transfer & Tagging App for iOS and Android smart phones allows you to transfer photos to your smartphone, pre-load a caption general caption than use voice to update the caption, crop and upload via FTP or publish on social media. 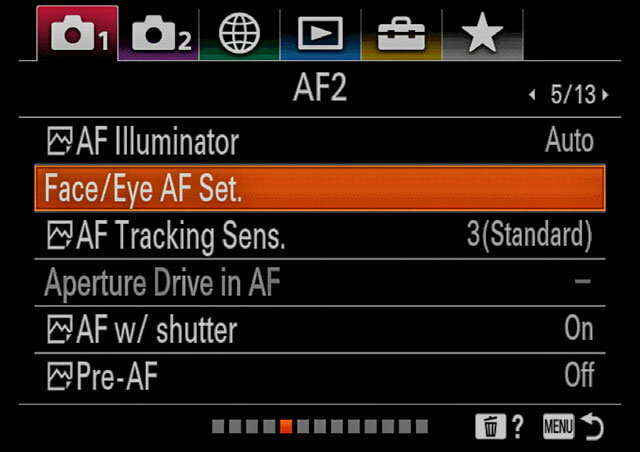 Firmware 5.00 will add a full stop of sensitivity to Phase Detection AF extending to F16. 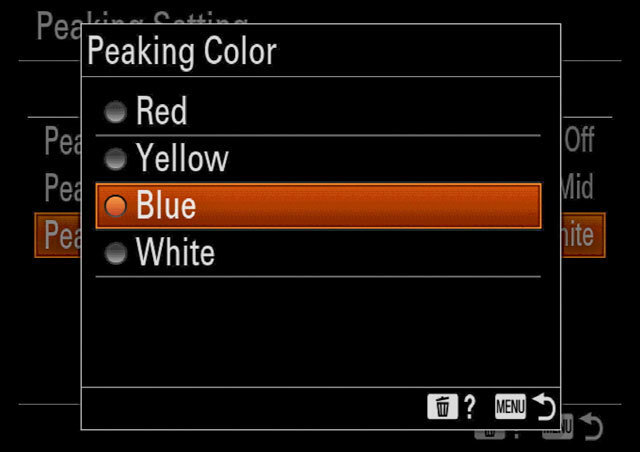 A fourth blue option is available in the focus peaking choices. I use this to see what’s in focus, even on the sunniest days. Deselect AF Areas from the Menu that you do not wish to use. Focus Circulation allows you to jump from the far right side of screen to far left side (or vice versa) or top to bottom. This feature is helpful when tracking an object across a scene. ISO Range Limit allows you to set a Minimum and Maximum ISO. When shooting video the ISO is displayed on the bottom of the frame. 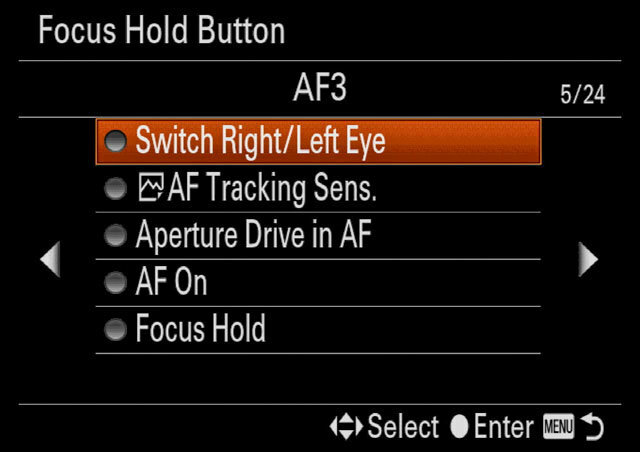 I don’t use this touch focus on any of my cameras, but it’s available on the a9. 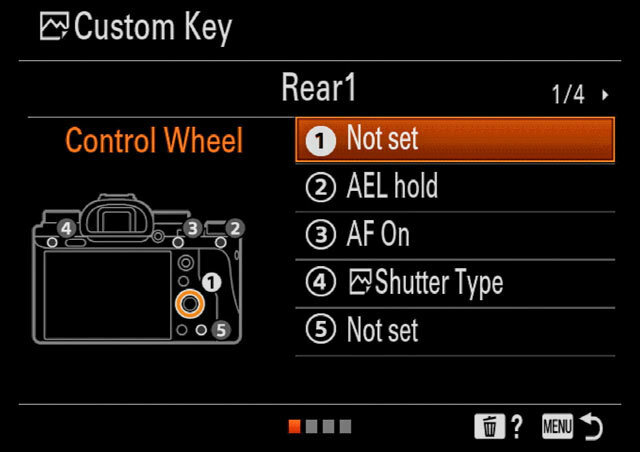 Sony a9 Contrast AF has been upgraded from 25 to 425 Points. My most requested feature is the rollover from 1 card to another. After firmware 5, update 6.0 will add Animal Eye AF and Interval Shooting.